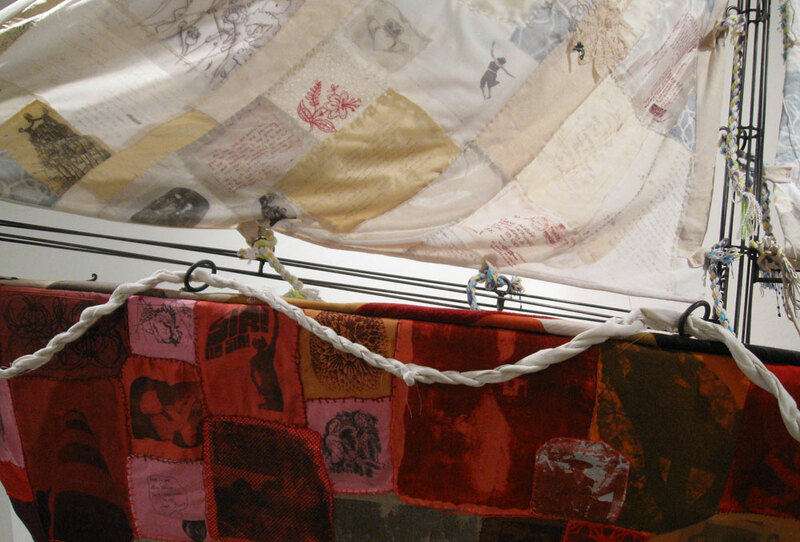 "The FriendSHIP Project", a collaboartive installation by Terri Dilling, Corrina Sephora Mensoff, Amandine Drouet, Alison Weldon, Mary McCarthy and Susan Ker-Seymer was shown from FEBRUARY 6 - MARCH 6, 2009 at the Museum of Contemporary Art of Georgia in Atlanta, GA. 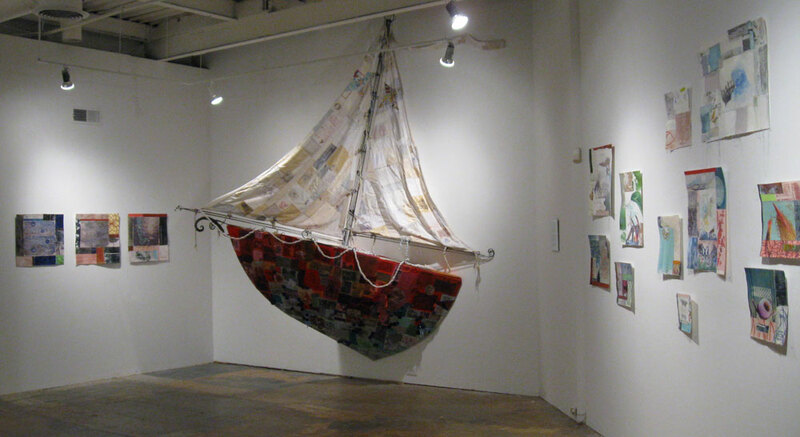 It was a collaboration of six artists exploring notions of "friend" and "ship" in a variety of ways and consisted primarily of a large quilted boat installation and a series of collaborative mixed-media pieces, called patchworks. The varied processes of each artist were incorporated, including metalwork, printmaking, painting, sewing and collage. 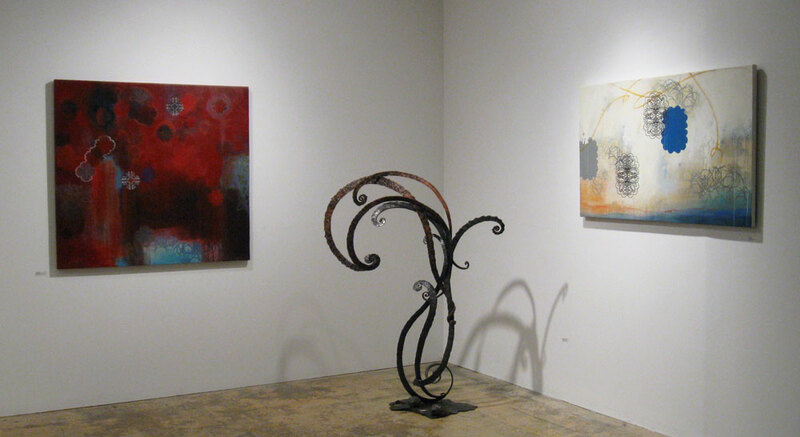 Each artist exhibited individual work as well, and some of these pieces are in direct response to the collaborative process and to each other. During the course of exhibition, the artists also held a printmaking workshop in the gallery that was open to community participation. Community participants include groups from the East Atlanta Kids Club and the Girl Scouts, members from the Atlanta Printmakers Studio, as well as many other individuals. They then used this printed fabric to create six new wall quilts which were installed in the gallery and celebrated during the closing reception. The FriendSHIP Project was supported in part by a grant from the City of Atlanta, Office of Cultural Affairs.